MIAMI, FL – Artemis Raven is a new musician out of Miami whose music is for a more mature, adult audience. 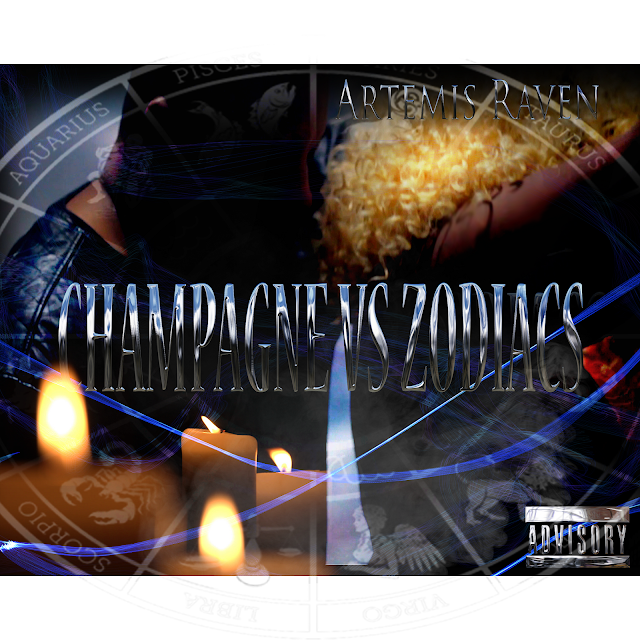 This is never more on display than with her new single “Champagne Vs. Zodiacs,” which dropped on April 13. It’s a song that tells the tale of a night out on the town and the multiple encounters she has with a wide variety of people – people who represent the 12 Zodiac personalities – after having had too much to drink of champagne. Artemis Raven adopted her professional name in 2003 and officially registered it in 2012. She’s a performing artist who extends her sound beyond R&amp;B and pop into soul, rock and even country. As a child, her love for music started early when legends like Michael and Janet Jackson showed her a world of performance that left its mark on her mind forever thereafter. She credits them for giving her the edge to be a stage performer and not letting the stage do the performing for her. In elementary school she would perform dance moves and entertain her peers by freestyling at the bus stop or in the cafeteria. She soon became known as “Little Michael Jackson” because of the flawless dance moves she’d mimic, and by the time she reached high school she knew that music was her greatest life’s passion. By college she was fully pursuing music. She became a part of the Music Entertainment Industry Student Association and tried her hand at acting. She portrayed MC Lyte in a musical tribute stage play at Miami-Dade College. She got her first taste at performing for a live stage audience by singing Mary J. Blige’s “No Drama,” which led to an encore. She also volunteered in fashion shows and took up journalism as a staff writer for the college’s newspaper. All of this evolved into a full-fledged career in music when in 2003 she became a writer and singer with an indie label called 3 rd Entertainment. She recorded one song and co-wrote with other artists. But in 2004 she chose to put music on the back burner as she dedicated herself to being a mother. Over the past 10 years Artemis has attempted to get back into music. She’s auditioned for American Idol on two occasions, and once for the American version of X Factor. In 2010 she began doing demos and writing music again, with her first single “Crazy Dayz Crazy Timez” gaining her some attention from fans. In 2012, Artemis linked up with a pop-hip/hop Duo by the name RAPtor Ent. This musical collaboration led to a Grammy Nomination in 2015 for a song entitled &quot;Rockin 2 Da Moonlight&quot which she constructed for herself, but was forwarded to the group for a more universal appeal and sound. Artemis has slowly ramped up her success over the past decade, and is excited to see how her new single can get her name and music in front of an even larger fan-base.